Blizzcon 2017 saw Blizzard announce the remastered edition of Starcraft, this year they are doing the same for Warcraft 3. Known for producing some of the most iconic names in the industry, Blizzard does not shy away from providing support for their oldest titles. Warcraft 3 and Starcraft have had their fair share of fans back in the day. Even to this day, there are many people who would love to play these games, however, the ageing graphics and engine seem to be an obstacle. With the remastered edition, Blizzard aims to capture this market and provide for a much better ecosystem of their games. The Reforged edition for Warcraft 3 already looks much better. The old blocky models are now replaced by better graphics and an improved map editor. The fact that Blizzard kept the map editor alive is a testament to their understanding of the player base. The gameplay trailer provides us a sneak peek to the visuals of the game once it releases. The animations are much smoother and it does not look as cluttered as the original game. With this remastered edition, Blizzard hopes to capture a new market [ or rekindle an old one]. Warcraft 3 does have great chances of being a top-tier esports title despite not being a 5v5 game. The game is available for pre-purchase on their brand new official website. The full game will be out only in 2019, although Blizzard has yet to specify a date. Warcraft 3 has been the source of some of the most popular esports titles today. 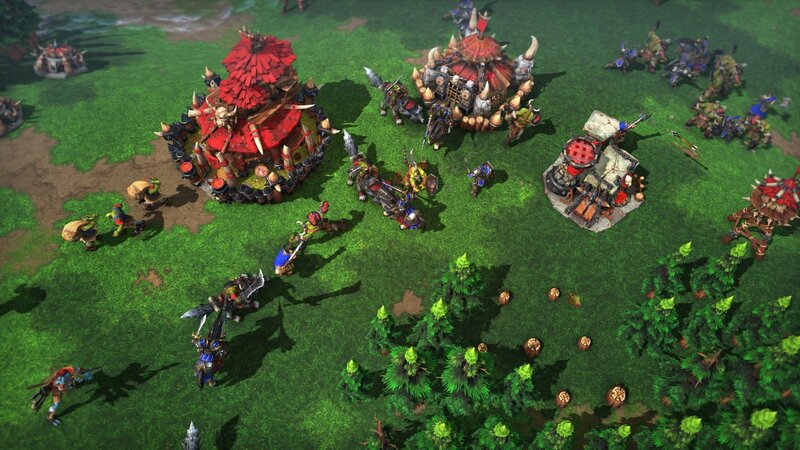 Both Dota 2 and League of Legends draw heavy inspirations from Warcraft 3. The modding tools allowed developers to create the DotA map, which at one point became more popular than Warcraft 3 itself. There will also be the sale of cosmetic items for the heroes. With decades of experience under their belt, Blizzard will find ways to monetize this title. Blizzard has never truly released a true sequel to Warcraft 3. They did take multiple characters from the same universe and use them in World of Warcraft. What do you think of the Warcraft 3 reforged edition? Will you buy it? Let us know in comments. Blizzcon 2018 : New HOTS hero Orphea revealed. Ashe is the new Overwatch hero while Echo might make a comeback to Overwatch in the future.